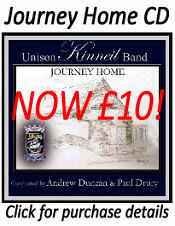 Unison Kinneil Band were crowned champions at the Fife Charities Band Association contest which took place at the Adam Smith Theatre, Kirkcaldy on Saturday 6th October . 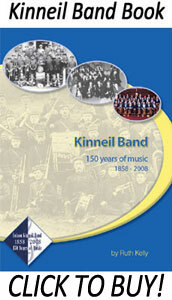 The band were drawn to play number 12 out of a strong field of 18 bands from across Scotland. New Musical Director Craig Anderson tasted success in his first outing with the band, leading us to victory for the first time since 2004. The winning performance opened with the quick march ‘Ravenswood’ by William Rimmer and was followed by the atmospheric hymn ‘In Perfect Peace’ composed by Kenneth Downie, which highlighted the tonal quality that the band can create. Adjudicator Paul Andrews was particularly impressed with the band’s performance of Edward Gregson’s challenging test piece ‘Dances and Arias’, and he placed Kinneil in first place above a number of Championship bands, including Kingdom Brass and Kirkintilloch Kelvin Brass. Congratulations are also extended to the band’s Bass Section – Kenny Brown, John Walter, Gary Kelly and Graeme Gilfilan who scooped up the Best Bass Section award. The band finished in the runner-up spot in the Hymn Tune Contest pipped by Kingdom Brass and were placed 4th in the March competition. In addition to the overall First Place and Best Bass Section awards, the band left the Kingdom of Fife with the Best First Section Band and the Musical Director picked up the award for winning conductor. This entry was posted on Monday, October 8th, 2012 and is filed under General News, Results. You can follow any responses to this entry through RSS 2.0. Both comments and pings are currently closed.